The rustic charm of a flickering fire is recreated with this clever, handcrafted resin log sculpture. Set right in the fireplace for a no fuss alternative to lighting a fire. Holds 11 tea lights (included). 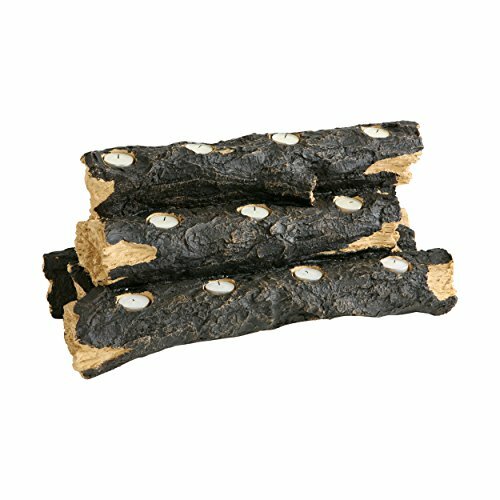 This realistic fireplace log substitute creates old-fashioned look anywhere in your home. Dimensions include: Overall: 24" W x 11" D x 10" H. This one-of-a-kind item approximately weighs 13 pounds. Only quality materials and manufacturing will do. Product materials include: Polyresin. Assembly: No assembly required. Made in China. At Creative Co-op, passion is at the heart of all we do - passion for product, passion for quality, and passion for customer success. It is this passion that grew a company founded only 13 years ago into the dynamic, trend-setter that it is today. This passion ensures we will continue to lead the industry for years to come. At our core, we live and breathe product. Our design team travels the world for inspiration, taking the best elements of their experience and translating them into a creative, unique assortment that caters to a broad variety of tastes. Whether you're a small boutique or a larger furniture store, our product line has something for you - and at price points that work. We strive to create product of the highest quality standard, and go to great lengths to ensure that you'll be proud to sell our merchandise. Both abroad and in the us, we adhere to strict quality control measures, but should you ever encounter an issue, we will do everything possible to rectify the situation as quickly as possible. Our customer service team strives for continual improvement, with a single goal - to be the best in the industry. 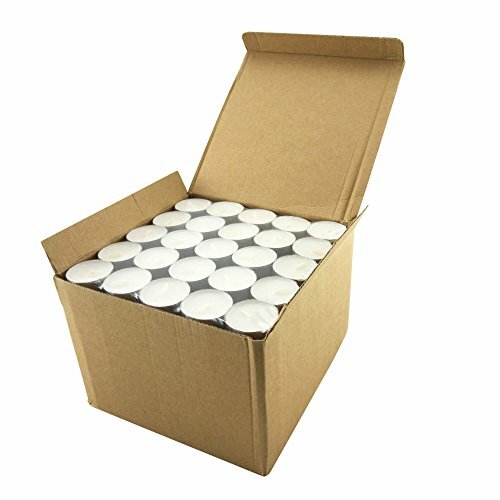 Package contains 200 quality paraffin unscented white tealight candles with an extended burn time of 6 to 7 hours. Our wicks are lead free and 100% cotton, and each candle comes in it’s own aluminum tin.These quality tealight candles can be used with any decor whether it be a beautiful centerpiece for the holidays, an upscale romantic restaurant setting, or a relaxing spa atmosphere.Stonebriar tealight candles will fit any standard tealight holder, or you can even create your own crafty candle holder out of mason jars, wine glasses, and even scrap pieces of wood.These tealight candles can be used for weddings, birthdays, anniversaries, and much more. The opportunities are endless when thinking up new ways to use Stonebriar tealight candles.Tealight candles can be used for:Standard tealight holdersRomantic centerpiecesFloating centerpiecesPotpourri warmerScented wax burnerAromatherapy essential oil burnerTea pot warmerFondue burnerChaffing dishesButter warmerAnd much more! 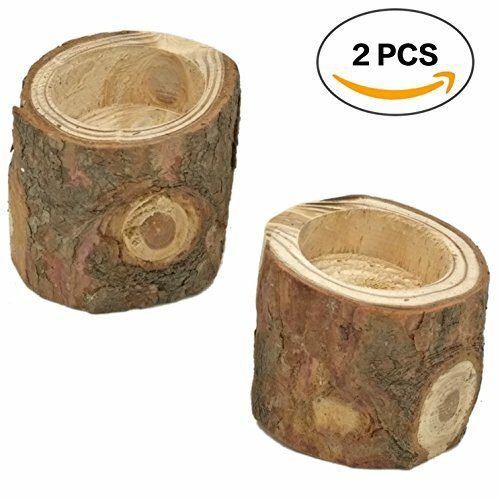 Real Birch Log Tea-light Candleholder Set (3) These Candleholders Are Crafted From Real Birch Logs. The Tallest Measures About 7.5" X 2.5". the Next Is About 6" X 2.5". the Smallest Is About 4" X 2.5". They Each Hold a Replaceable 1-1/2 Inch Tea-light Candle. (Candles Included) Sealed Tops to Protect the Wood & Felt Covered Bottom to Protect Your Furniture. 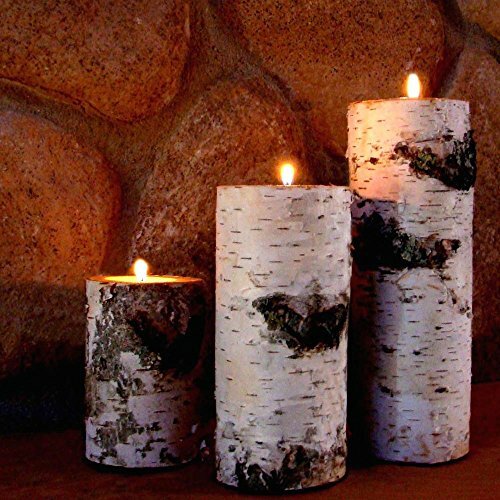 These Are Cut From Real Birch Trees with the Birch Bark Intact. Each Having It’s Own Personality Given By Nature. Can be used for a number of occasions. Ideal for: Special nights, events, dinnersBirthday PartiesChristmas DecorationAs Bedside Table LightAmbient nights in the garden, yard, campingRestaurants, pubs, shops and more. A Convincingly Real Flickering Effect That Lasts! These beautiful hand crafted candle holders are made from oak wine barrel staves from Napa Valley in California. The stave is lightly sanded back to it's original wood showing the uniqueness of the grain and then sealed with three coats of clear coat lacquer to bring out the beauty of the oak. The underside is stained from the red wine previously held in the barrels. 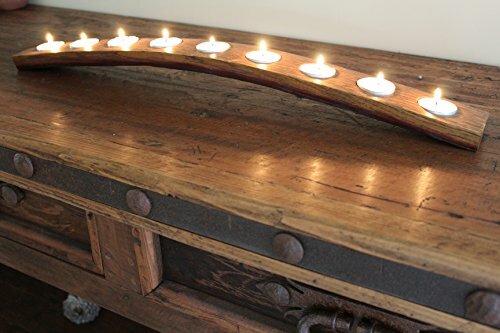 This 9 tea light holder has a beautiful arch that is not easily seen by these pictures.. This candle holder is a piece of history on it's own and adds a wonderful ambience to any setting. 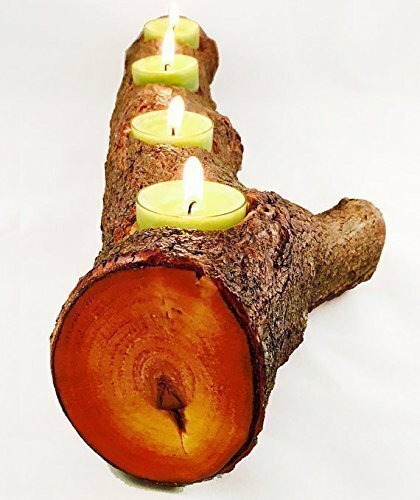 Get your very own beautifully hand crafted natural tree wood log branch tea light candle holder (holds 4 candles - not included). Every piece of wood we use is unique and doesn't 100% match that of the photo. It could be a slightly different type of wood or a knot/branch might be located in different areas on the log. Each log is roughly 14-15" long with 4 tealight candle holes drilled. We put a coat of sealant on the wood to protect it from flaking, dust and water. We can do custom sizes based on request, please contact us with any questions. Since every tree branch is different, the diameter of every log will range between 2.5" to 4". If you have a specific size you want, please contact us directly upon placing your order. I have been recently introduced to these candles made with a real wood wick. They have been known to crackle. And they are scented to cover up people smell!!! 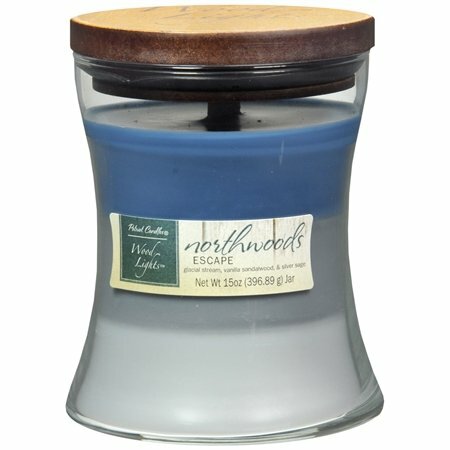 Ww Wood Wick candles, they are cool! Patriot Candles Wood Lights Collection Patchouli Woods Woodwick 15oz Tan colored Wax Soft Creamy powdery Patchouli & woods scent. 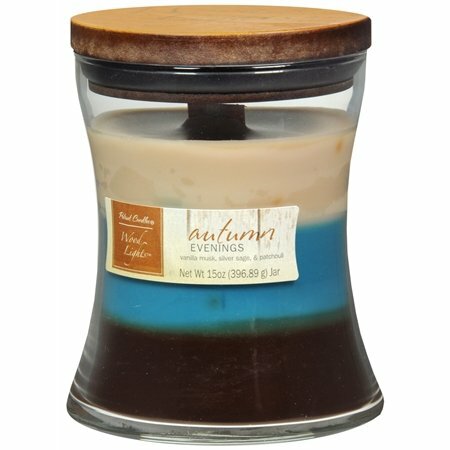 Very similar to the brand WoodWick Candles. Subscribe if you like Candle Reviews. 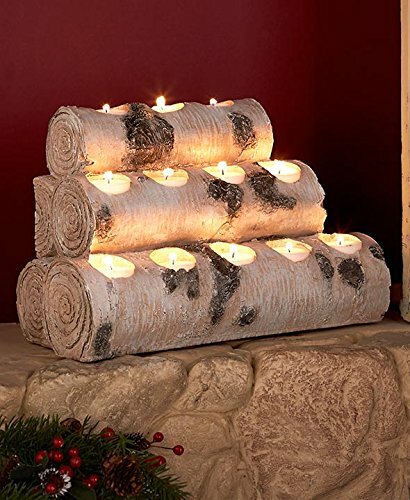 Compare prices on Wood Lights Candle at ShoppinGent.com – use promo codes and coupons for best offers and deals. Start smart buying with ShoppinGent.com right now and choose your golden price on every purchase.